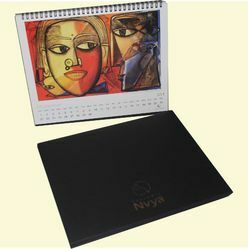 Offering you a complete choice of products which include calendar printing services. Being one of the eminent names of the field, we offer Calendar Printing Services that are conducted with the help of quality grade paper & ink and latest technology machines. Applauded for their timely conduction and perfect execution, as per the client demands, these flexible services are massively rendered in the business. Under these services, we print table and wall calendars as well.